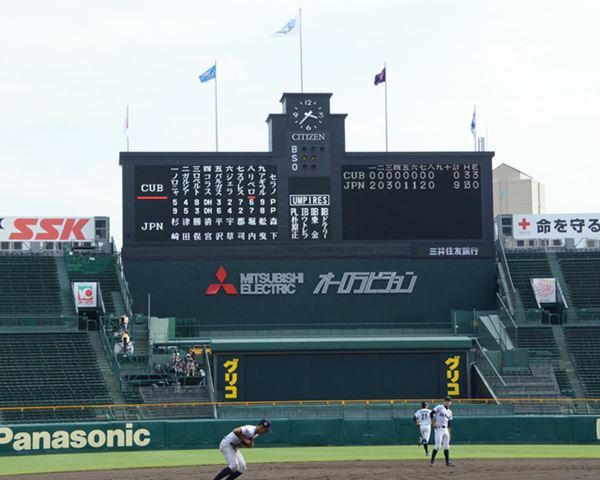 OSAKA, Japan – The two top-ranked nations in the world -- Japan and the United States – are in the championship finale of the XXVII U-18 Baseball World Cup on Sunday, 6 September. Game time is set for 18:00 local time at historic Hanshin Koshien Stadium. This match-up is a replay of the electrifying grand finale of 2013 U-18 Baseball World Cup in Taichung, in which the U.S. U-18 National Team defeated Japan, 3-2. USA’s Brady Aiken had 10 strikeouts in seven innings pitched. In total it will be the third time Japan and the U.S. meet in the finale of the U-18 Baseball World Cup. Japan can win the nation’s first-ever U-18 world championship and become the first nation to become world champions on home soil since Cuba performed the feat in 1996. The U.S. can win their eighth gold medal. Only Cuba has won the world championship across the 16-1 age group more times (11). Two-time defending world champions U.S. win its third consecutive U-18 world championship, which is a feat only ever achieved by Cuba, when the nation won four in a row from 1984-1987. If the U.S win, the nation will be two-time reigning U-12 and three-time reigning U-18 world champions. Cuba is the current U-15 world champion, while Chinese Taipei is the U-21 world champion and the Dominican Republic the men's world champion. A loss against Japan will mean a record 12th silver medal for United States. The U-18 world championship finale will be live-streamed free via the WBSC's official Ustream channel: WBSC Channel 1.